Black PU Jacob Watch Box. 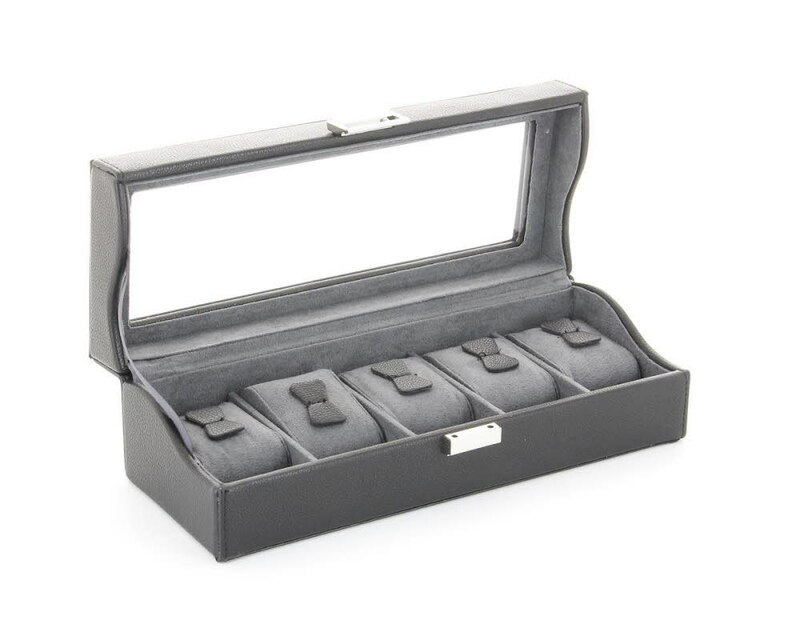 The black watch box has a glass panel in the top of the lid of the box and holds up to 5 watches. It has a great plush dark grey lining and includes the 5 cushioned watch pads. This beautiful box measures 28.5 x 12 x 10cms.